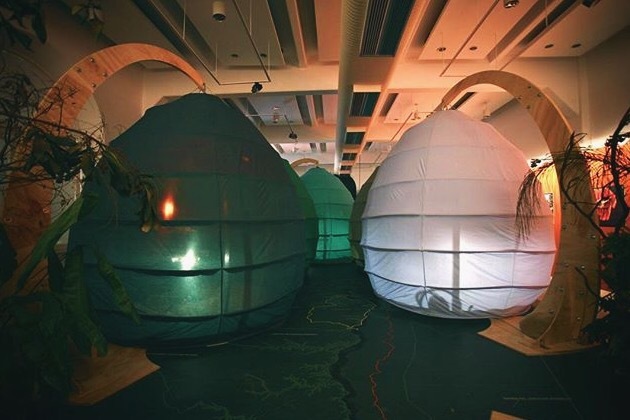 Large scale fabric pods made for 'Munduruku', a multi-sensory cinema experience created by The Feelies in collaboration with Greenpeace. The pods are made up of sewn poly-cotton and fibre glass rods and incorporate a pulley mechanism that allow them to be raised and lowered. 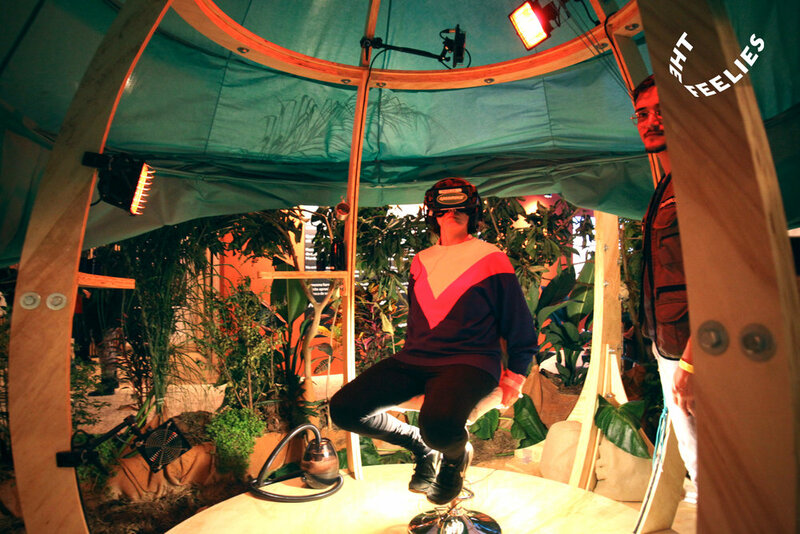 The passenger of the experience approaches the pod, which raises up to let them inside and is then lowered around them whilst they embark on their multi-sensory, virtual reality exploration of the Amazon Rainforest. 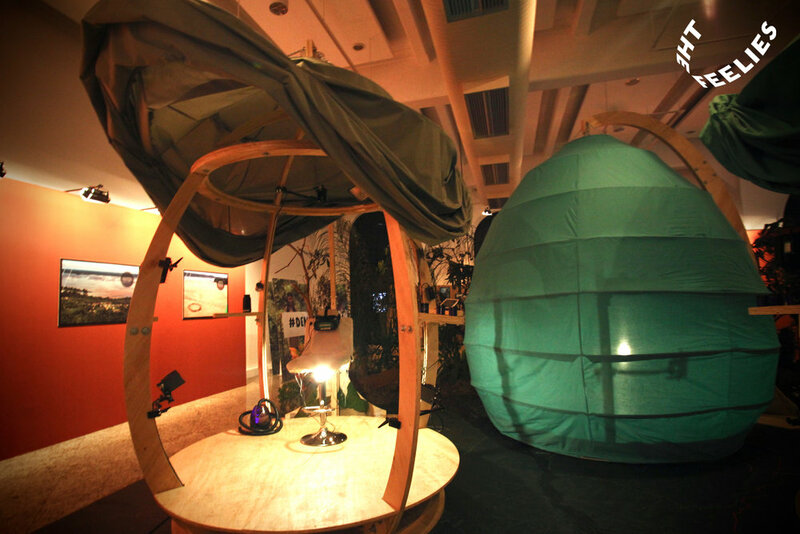 'Munduruku' as been displayed at the Centro Cultural Correios, Sao Paulo, at Glastonbury Festival, won the Alternate Realities Award at Sheffield Doc Fest 2017, and Best Social Impact VR at Raindance Film Festival 2017.